REP. ADAMS PUSHES ED SEC. 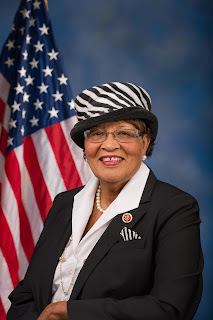 Emphasizing that the June 30thend of the federal fiscal year was “..extremely critical,” Congressman Alma Adams (D-NC-12) pushed US Education Secretary Betsy DeVos Tuesday to commit to implementing a key provision in the recently passed 2018 Omnibus budget “…provide for the deferment of loans” made under the Historically Black College and University (HBCU) Capital Financing Program, and over $20 million to cover the cost of HBCU Capital Financing Program loans, including “the cost of modifying such loans. Rep. Adams, an HBCU alumna who taught at Bennett College, co-chairs the Bipartisan HBCU Caucus in Congress, and represents a state with more HBCUs (eleven)than any other, pushed Sec. 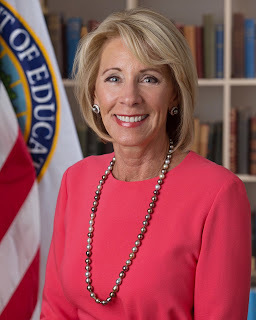 DeVos during Tuesday’s House Committee on Education and the Workforce hearing on making sure that HBCUs received the assistance they required regarding the financing program loans before or by the June 30thfiscal year deadline. Adams was concerned because DeVos had not yet responded to an urgent May 8thletter she, congressmen Bobby Scott and Ted Budd sent to the secretary regarding the matter, even though DeVos confirmed during the hearing that she did receive it, and she will respond. The three congresspeople originally fought to have the provision installed in the 2018 Omnibus budget to help HBCUs. “…many (HBCUs) must have some deferment or modification underway in order to meet requirements of end-of-year fiscal audits required by their accrediting bodies,” Adams, Scott and Budd wrote. Failure to meet end-of-year fiscal audit requirements could result in the closure of an HBCU. Adams made clear that is something she does not want to see again, and if the US Dept. of Education does not follow through with the mandates of the 2018 Omnibus budget, that could very well happen. “We are working on this carefully now, and I commit that we are going to see the intention of this addition to the Omnibus …see it through, and are committed to supporting HBCUs in their mission,” Sec. DeVos responded. Congresswoman Adams thanked Sec. Adams for her stated commitment, reemphasizing the importance of meeting the June 30thfiscal year deadline, and the Education Dept. working with those HBCUs that meets the required criteria for loan deferment, and applies in time, gets one.. Earlier in the hearing, Sec. DeVos was grilled for not specifically what the Civil Rights Division of the US Education Dept. does. 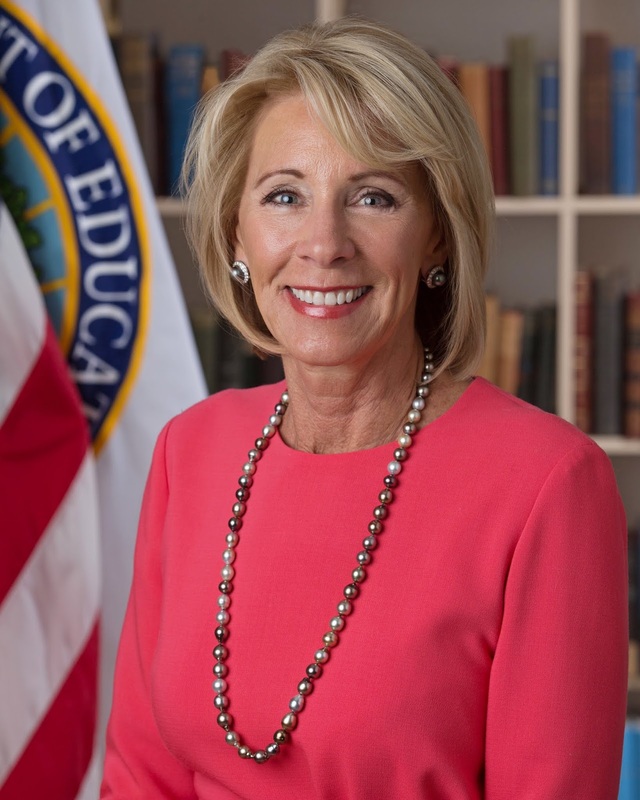 Published reports previously indicated that DeVos was changing the original mission of the Civil Rights Office from advocating for black, Hispanic, disabled and other students who were alleged victims of discrimination in the nation’s schools. The second week of the Poor People’s Campaign: A National Call for a Moral Revival focused on systematic racism, voter suppression and immigration, but it was marked by high profile arrests, and intensified demands for social change. In Washington, D.C. Monday, Rev. Dr. William Barber, national co-chair of the Poor People’s Campaign, was joined by veteran civil rights leader Rev. 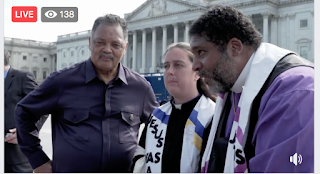 Jesse Jackson, leading a large group of clergy, poor people and supporters into the US Capitol rotunda, praying, and seeking to deliver a list of demands to both Senate Majority Leader Mitch McConnell (R-KTY) and House Speaker Paul Ryan. Which included a restoration of the 1965 Voting Rights Act, and an end to racial gerrymandering. But US Capital police refused Rev. Barber, Rev. Jackson, and Poor People’s Campaign Co-chair Rev. Liz Theoharis access to either office, and gave the group three warnings to disperse, or be arrested. After ordering TV cameras and news reporters move to a separate room with the doors closed, officers arrested Rev. Barber and his supporters, ushering them outside to the rear of the Capitol Building. While Revs. Barber and Jackson were leading the cause in Washington, Poor People’s campaign organizers in Raleigh were also hammering the same themes at the NC Legislative Building on Jones Street. Once again, demonstrators, as they did last week, rallied across the street in the Bicentennial Plaza, then walked across the street an entered the Legislative Building, seeking to deliver a list of demands to Republican legislative leaders House Speaker Tim Moore state Senate Majority Leader Phil Berger . But, just as in Washington, D.C., the Raleigh demonstrators were not only denied, but ordered to disperse, or face arrest. Unlike a week ago, when demonstrators faced only police citations for blocking the street in front of the Legislative Building, on Monday 12 of them were arrested and physically taken away. Organized supporters stood on the sidelines shouting, “We love you,” as police took people away. The national Poor People’s Campaign: A National Call for Moral Revival, says that the same nonviolent “direct action” confrontations took place simultaneously in 35 other state capitols across the country, and will again next Monday. This was part of a 40-day, six-week campaign of national protests to ensure that the plight of the poor was made part of the political conversation going into the 2018 midterm elections, and the upcoming 2020 presidential elections. The NC Poor People’s Campaign is scheduled to return to Raleigh and the state Legislative Building next Monday. [RALEIGH] It had long been rumored, but now published reports say that the Republican-led House Elections Committee is expected to unveil a new bill to once again require voter identification in North Carolina. In 2013, the GOP majority in the General Assembly passed a voter ID law that was eventually struck down by the US Supreme Court. Many observers said then that Republicans would try again to reinstitute it, changing the framework so that if challenged in the courts again, it could pass legal muster. [CHARLOTTE] A pioneering black female attorney, Dovey Johnson Roundtree, died May 21 at an assisted living facility. The Charlotte-native was 104. [RALEIGH] Two Highway Patrol troopers and one Wake County Sheriff’s Deputy were told by a 911 operator that a black man they stopped April 3rd, and allegedly assaulted, was “10-32” (had a gun), according to a recording of radio traffic. But when Kyron Dwain Hinton, 29, was stopped that night, and eventually beaten with a flashlight and attacked by a K-9 dog, he had no weapon. The officers say Hinton was uncooperative. He suffered 20 dog bites, a broken nose and eye socket. A Wake County grand jury has indicted all three officers for assaulting Hinton. All charges against him in the incident were dropped.